Living in the Temecula Valley wine country area of California is awesome; Bill Gould and Jeney Kingsbury put their unique written and photographic spin on travel, vegetarian food, music, nightlife and gardening. to be located and the items returned to their correct location. Park rangers recently discovered that fossil footprints were removed from Death Valley National Park. Trackways of mammals and birds were formed about 3 to 5 million years ago, when the animals left footprints in a muddy lakeshore area. Scientists visit the area regularly, photographing and recording the exact location of each footprint. 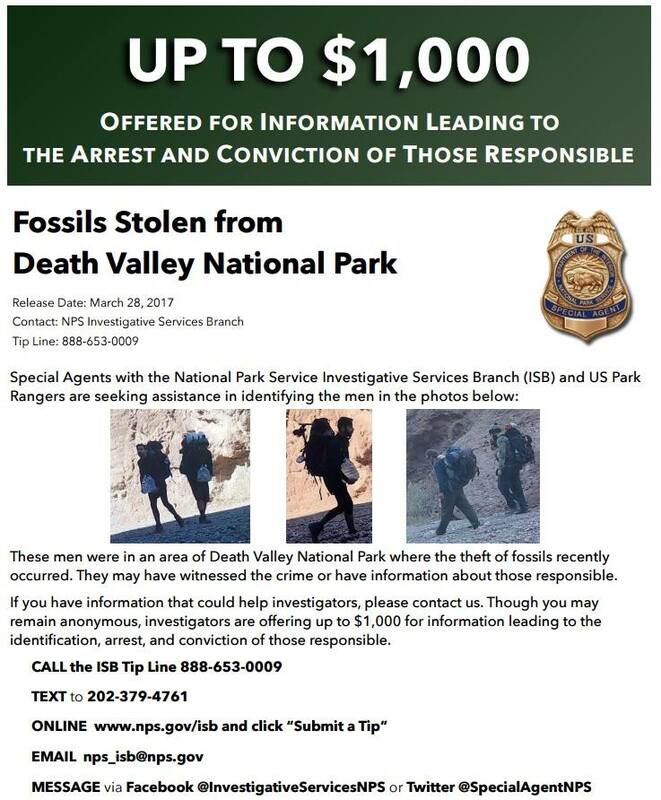 They discovered the fossils were missing during a recent visit and reported it to park rangers. Backpackers in the area were photographed and may have witnessed the crime or have information about those responsible. 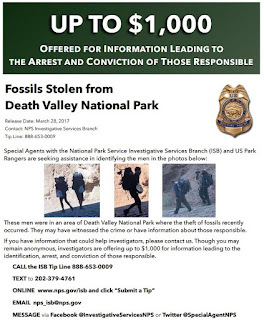 Investigators are offering up to $1,000 for information leading to the identification, arrest, and conviction of those responsible. Please see the attached flyer to view photos and for information about how to submit a tip. (c) 2016 Full Value Entertainment & Bill Gould and Jeney Kingsbury, Temecula California. Simple theme. Theme images by compassandcamera. Powered by Blogger.